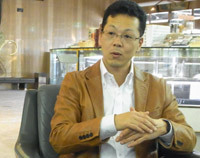 Interviewer: Today I would like to hear what Nobuo Nakagawa, CEO of Prema Inc., has to say about the aftermath of the Fukushima nuclear power plant accident caused by the massive tsunami that hit Japan in March 2011. I’ve heard many different things from other countries, but I still believe that there are many uncertainties concerning this subject. What is the current true situation in the areas surrounding the Fukushima power plant? And how are the inhabitants of these areas doing? I believe the answers to these questions still haven’t reached everybody outside Japan, and therefore I want to ask you, Nobuo Nakagawa: What insight can you give us based on the experience you and Prema Inc. have gathered taking part in the aid effort after the earthquake and tsunami? Nakagawa: First of all I would like to point out that Japan is the only country in the world to ever have suffered a nuclear bomb strike in wartime. Through the bombings of Hiroshima and Nagasaki we were the only nation who had firsthand experience of the so-called “nuclear” fear. So how could this very nation in no time become the country with the 3rd most nuclear power plants in the world? Currently, there are 22 out of 54 nuclear power plants in operation. In English the word “nuclear” is used in both “nuclear power plant” and “nuclear bomb”. However, in Japanese, the symbol (核) meaning nuclear is not used in the word for nuclear power plant (原子力発電所). If it were used there might have been a lot more resistance against nuclear power in the first place. This is a sad legacy. Because we are told that nuclear technology originally is intended for peaceful use, development of nuclear power plants was, and is still promoted. But we shouldn’t forget that many countries that use nuclear fuel also possess nuclear weapons. USA goes without saying, as well as France, India, China and so on. And now everybody’s talking about whether North-Korea is trying to make some or not. But even if the IAEA (International Atomic Energy Agency) calls for inspection of suspicious facilities they always get the same old answer: “These are nuclear power plants built for a peaceful purpose. You have nothing to worry about!”. Article 9 of the Japanese post-war constitution defines our stance as a pacifist state, where we promise never to go to war again. This matter on one hand is frequently debated and opinions are divided, but in contrast to this, most of us seemed to believe that nuclear power is essential for our modern way of life. I think this is the source of the problem. If I were to try to see this from a foreigners point of view I would assume that Japan, considering its respect for mother nature and its history with Hiroshima and Nagasaki, was a country which would naturally avoid using nuclear power. People sympathetic towards the East might even have been surprised to hear about Japan having nuclear power plants. But amidst the continuing global warming hysteria we were all led to believe the explanation that the only power source not emitting CO2 was nuclear power plants. It’s really foolish. I will of course relate the current situation in Fukushima in this interview, but I just want to stress that we have to reconsider the fact that Japan, with it’s history as a nuclear bomb victim, made the dire choice to build and develop nuclear power plants. Without even going that far we must ask ourselves why Japan, a　small country daily shaken by the moving continental plates it balances on the tip of, oddly became a nuclear victim for the third time. And it all happened in peace time! The nuclear debate from now on will include three places from Japan: “Hiroshima, Nagasaki, Fukushima”. But the Hiroshima and Nagasaki events were caused by an American attack. In this case, it is us, the Japanese people who are responsible. We have no one else to blame. Of course the nuclear power plants are of American design, but the American designers were at the time most likely not aware that Japan is a country frequently hit by earthquakes, and that there also was danger of a tsunami of a massive scale like this. But again I want to remind you that the ones who obediently adopted and used the power plants were Japanese. The word “Fukushima” has become extremely famous as a common name to describe the nuclear accident and it’s current status. But Fukushima is actually the third largest prefecture in Japan. Hokkaido Prefecture is biggest, second is Iwate Prefecture and then third, Fukushima Prefecture. 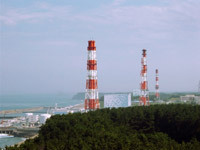 Even though the word is readily used, Fukushima actually encompasses a very large area, and two mountain ranges separate the power plant area from the inner regions of the prefecture. One is the Abukuma mountain range which rises like a wall from the coast, and the second one is called Aizu-Bandai. 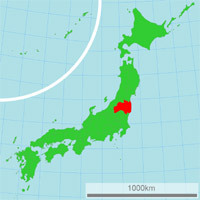 It’s probably hard for foreigners to imagine how big Fukushima Prefecture is... If only I had a something to compare with... Well, it’s bigger than the main Hawaii island (Big Island). away areas, so-called “Hot spots”. Anyway, this event was not one caused by a nuclear bomb, it was a result of a failure in the cooling system of a nuclear reactor causing radioactive material to leak out. And as strange as it may seem, areas outside Fukushima prefecture are actually more polluted by radiation than Fukushima itself. Well of course, we are told that high levels of of radiation are being registered within a 20-30km radius of the Fukushima power plant, and at the present time, especially concentrated towards the north-west. Just like with the Chernobyl accident, the radiation spreads in a point-like manner to far away areas, so-called “Hot spots”. This was also a problem at Chernobyl. 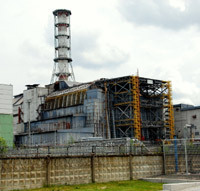 The power plant was located in the former Soviet Union, present day Ukraine, near the Belarus border. Anyway, areas with an extreme high amount of radiation were found here and there across Europe as well. The same phenomenon can be observed in Japan in places like Kashiwa City in Chiba Prefecture, and in the Ariake area in Tokyo. They say that most of this pollution originates from the explosion on the 14th of March, where pollutants were flung up into the air, and shortly after fell back down and settled in areas that had rain that day. Unfortunately these places exist, but I would rather point out that there are more areas that are not like this. that are not like this. I guess Europeans won’t have a hard time picturing this, but we have to remember that this event was not an explosion caused by a nuclear weapon, dealing destruction evenly out from an epicenter. It was an event where radioactive materials were thrown up into the air, spread by the wind, and then creating the worst impact where it fell down to the ground again as rain. I did say that the effects inside Fukushima Prefecture are considerable, but the fact is that higher levels of radiation can be found in places as far as 100, or 200km away. The Japanese government has recently started to admit this fact, but only very recently. Isn’t it sad? Well, I believe this is the current situation of the radioactive pollution. Interviewer: But in the middle of all of this, there are still people living their lives, and people who continue their jobs as normal. What can you tell us about them? How does Prema perceive their current situation? Nakagawa: Just before this interview started I happened to take a look at a package we got with a returned product. The address slip read: “Nagadoro, Iitate village”. We made a YouTube broadcast from that village, located 30km to the north-west of the Fukushima power plant. Of course, the entire Iitate village region shows high levels of radiation, but the levels in the Nagadoro area are especially high. And this particular customer was from this area. So what did this customer order? She was supposed to order a product called ‘EM-X’, an EM (Effective microorganism) drinking water, but instead she made a mistake and ordered ‘EM-1’, a EM product developed on Okinawa, which you insert in to the soil. Used at Chernobyl as well, it’s known to be effective against internal radiation exposure, and it’s said that agricultural materials like EM-1 if planted, has a better effect against radiation than other measures. Therefore we would have loved to see our costumer use this product, however, she preferred something she could drink. Simply because she is worried about the radioactive contamination. Here at Prema Inc., we actually have several domestic made products that have a real effect against radiation. For example, as mentioned earlier, EM-X, which was handed out for free at areas contaminated by the Chernobyl accident. Data proving it’s positive effects are plentiful. 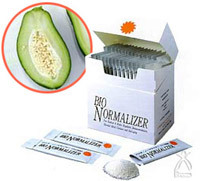 We also sell a product called Bio Normalizer, which is a supplement made from Carica Papaya, extremely rich in anti-oxidants. There are clinical data showing an effect against outbreak of HIV, as well as improving the quality of live for those who already have contracted the disease. And also an effect against radioactive contamination, leading to the product being given to the Belarus government for free during the Chernobyl crisis. Although we have several of these products in stock, we never expected them to be sold because of radioactive contamination. Up until now the customers who bought these products from us where people suffering from cancer, diabetes or other lifestyle diseases, and although we had data showing the effect the product’s have on radiation as well, we honestly never expected it to be sold for that purpose. The Japanese government is extremely strict concerning these matters. One of our business partners imports a product called “Flor Essence”, which contains plant essence from Canada. 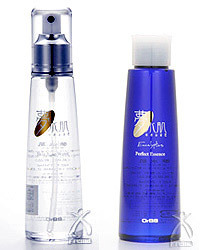 They reported being raided by the police after advertising that the “Flor Essence” had a positive effect on radiation. This happened just a few days ago. So despite the fact that the contamination is getting worse the government just cracks down on business like this even though they have no conclusive evidence. I can’t really say this out in the open in Japanese, so I would love for you all to read this in English. To put it frankly, the Japanese government is a peculiar institution. According to western medicine there’s absolutely nothing to be done about radioactive materials, right? No counter-measures. But just advertising products like the ones I mentioned earlier, or Zeolite, which had an apparent effect when used in areas of Europe contaminated by radioactivity, is enough to get you arrested. It’s really regrettable. government is a peculiar institution. Not only does the Japanese government refuse to reveal the truth about the radioactive contamination, they also never publicized the results “SPEEDI” gave them, a meteorological tool made to predict what direction radioactive materials would be spread following a potential nuclear disaster. And on this they spent 10 billion yen (approx. 130 million dollars). For what purpose?! Many Japanese went to the website of the German Meteorological Agency, and were terribly scared when they saw the charts posted there, because they were far from accurate. 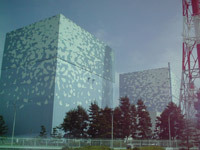 Even though the data the Japanese Meteorological Agency had calculated was the most accurate there was, the government didn’t reveal it to the public. As a result people looked up the German data, and as you know Germany is on the other side of the globe, and the calculations were based on poor meteorological data not reflecting the real situation in Japan. The charts which were publicized led the people to believe that this was the end of Japan as we know it. But in reality, it was nothing like that. I think that both Europeans and Americans remember the forecast charts that their respective governments produced, and therefore might think that Japan now is damaged beyond repair, but that’s really not how it is. It is as I said earlier: Some areas in certain directions are heavily affected, and there are also Hot Spots with high amounts of radiation in far away places. But since Japan is a lengthwise long country, about 2.000km, there are many areas with no contamination at all. As a result the measures that has to be taken varies from area to area. But the government just keeps on proclaiming that it’s all safe and recklessly arrests civilians who simply try to express the wisdom and know-how they posses. that’s really not how it is. Interviewer: Seen from foreign eyes, I think that the Japanese people might seem to never really get enraged with anything, and that there is an increasing numbers of things foreigners have a hard time identifying with. What are your thoughts on this? Nakagawa: The Japanese people are remarkable. Even though they got nuclear bombs dropped on them they still went ahead and built nuclear power plants! At the time there were people who were quite angry. Including myself. From when I was 15 to about 22-23 I took part in the anti-nuclear movement, and at the time I imagined I would continue that work for the rest of my life, becoming a politician. Even now, those who do get angry, they really get angry. The anti-nuclear power demonstrations has never had more air under it’s wings than now, but still, the Japanese are known to be quick to give up. But if you see this trait as good thing, we are an extremely strong weed-like people, who can put what’s already gone by behind us, and decide there and then what to do next, just like we rose from the ashes of the devastating world war. This has worked out well for us in many instances. 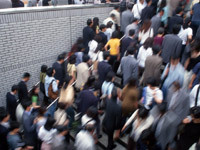 For example, it is said that the Japanese are the fastest in the world to adapt to the local culture when they go abroad. Whereas the Chinese stick to their Chinese food, and even Europeans have a hard time letting go of their bread based food culture. But the Japanese go to places all over the world and quickly blend in to the respective countries. This as well is actually a type of resignation. We resign to the fact that as there is nothing else to do but to adapt. You might say that we easily assimilate. This gives a fantastic dimension to it, but on the other hand the Japanese are not really good at raising their voices, putting their claims out there, and staking out a new course of action. It’s hard to say which is best, and I guess a Buddhist mentality is already flowing in our veins. This way of thinking where everything is considered momentary and transient, is already incorporated in our DNA. in the wake of this. And therefore I expect that there will be no loud and angry movement criticizing the government in the wake of this. And more importantly, if the Japanese people who have fostered these fantastic traits of modesty, prudence, respect for the nature, and resignation, don’t become a movement at a far deeper level, questioning what kind of country Japan is, and should be, nothing will change no matter how many demonstrations you have in front of the Diet. Prime Minister Naoto Kan, who held office at the time of the accident, and still does (replaced by Yoshihiko Noda on the 2. Sept. 2011), said he was deeply　moved by the words of Buddhist priest the other day. What did he say again... I saw it on the news, but.. Please feel free to look it up. Anyway, it was about some extremely Buddhistic and substantial things, and as you see, this way of thinking goes as far as our Prime Minister! Even deep inside the people who actually oppose the status quo, this way of thinking exists. But the Japanese rarely think that opposing something because it conflicts with their opinion will lead to anything. On the other hand, when things really change at the root level the Japanese show their real strength, just like when the private sector got together and changed the structure of Japanese industry itself. And now, some of the same private businesses invest heavily in renewable energy, and there’s also a growing movement to do something to bring the Fukushima soil back to life. I have a feeling that rather than screaming our lungs out in protest, supporting these efforts will give far better results. As I said earlier, the fact that the only country in the world to ever experience a wartime nuclear strike ended up like this, raises many questions. But, even if we go out in full protests now, we have to admit that the contaminated soil of Fukushima will not return to it’s original state. In that sense you might say that I’m a good loser, but my frequent visits there has taught me that the people of Fukushima have a tendency to think the same way. I can’t say this applies for everyone, but especially people from Fukushima are typical Japanese, persevering, and don’t say what they really think. Those who us who went to help with the aid effort always told them that we would do whatever we could to help, and told them to contact us at any time, but so far we haven’t received a single call. We gave them our business cards, and the phone number is written right there! But, no calls. They show an impressive perseverance. I also gave my card to several people who had their house washed away, who was left behind without even a pair of shoes to wear. But I haven’t heard from any of them. I don’t exaggerate when I say that these are an amazing people. Interviewer: I’m thinking that if the disaster had been limited to just the tsunami, we would have had more foreign aid organizations in the country, thus helping to spread information of the situation on the ground to the outside world. But the nuclear accident created a situation where it is difficult for foreign organizations to work, even with the tsunami aid effort. As this situation where it has hard to know what’s really true still continues, I feel that there is a danger that both Japan and Fukushima will remain misunderstood, and that this will have a continuing effect on both business and the everyday lives of people. to get more information out there. being trusted by the outside world. Nakagawa: And that is exactly why we do what we are doing just now. We, the Japanese, have to work to get more information out there. Normally the government would take lead in such an effort, but the things they say are no longer being trusted by the outside world. For example when they kept it a secret that they were letting out huge amounts of radiated water in the ocean. That is an unforgivable thing to do towards the people of the world, and also against the Japanese population. Even though the administration changed hands, these things haven’t changed at all. Of course, you can say that the reason for this is that the bureaucratic system didn’t change, even though the government did. But I find it really strange that the secrecy policy still infests the system, despite the change of political regime. You can scream your lungs out to blame and try to bring down the government, but will anything really change? I think that each and every one of us has to learn from this event, think hard about how we want to live our lives. And not just this. You can protest nuclear power as much as you want, but this doesn’t stand to reason if you still live a life where you drive your air condition to the max, and waste electricity. It all comes down to this. Interviewer: I believe this message from now on will get through to those who have both trust and interest in Japanese products. It’s hard to describe all Japanese products in the same sentence, but what can you tell us about what direction Prema is planning to take in regard to its products? Nakagawa: Japan too has an official certification for organic products approved by the government, called the “Organic JAS mark”. This is of the same nature as for example the American “USDA” and the European Union’s organic certification, among others. But in Japan, and other countries as well I believe, there are no standards for radioactivity in the case of organic products. It’s all about whether they use agricultural chemicals, artificial fertilizer, and if the product is separated from general products in the manufacturing process, and so on. It stops at this. And as there is no standard for radiation levels, it naturally doesn’t get measured. At this time, as 3 months have passed since the accident, radiation measuring instruments that up until now had been hard to get your hands on will from now on, and for several months, be flowing into Japan. 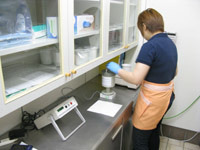 These include instruments to measure not only environment radiation, but also material surface contamination, and contamination outside and inside of food products. I have high hopes that this will lead to products that have been guaranteed safe by each company will become available. But at the time, even if you have the money and the order is placed, no instruments gets delivered. Prema has actually already order instruments from Germany to analyze food products, but no matter if we ask the German company directly, or the Japanese importer, we still get the same delivery time: “The end of August, beginning of September”. Until then Prema can’t conduct any examinations (As of 26. Sept. we have only received one device, and are still waiting for more). We here in Japan can check where the product was made, it’s distance to affected areas, or the degree of contamination, and from this we can draw some conclusions. But it’s impossible for people outside Japan to know this. This goes without saying. So why did we decide to not actively try to sell our products, and instead release information like this? It’s because we really don’t know all the facts. Imagine that right after the nuclear accident we told everybody: “Japanese products are absolutely safe!”. If we did that, nobody would be able to trust us anymore. We have to provide an environment where we can accurately measure and confirm the safety of things that are necessary for us, and not just for the sake of others, but also for us. And then we have to produce and circulate these safe products. We want our products to be properly examined at all stages until they reach us, and only then can we honestly and out in the open sell them to our foreign customers. products get stopped in customs. At that time I believe that the Japanese government will have established proper guidelines and means of measuring products, so that they openly can tell other governments that “Japanese products are basically fine!”, and that there will be some sort of authorization allowing products to go through customs. With the current situation many products get stopped in customs. This is really unfortunate, and even products made last year get stopped. But that is really to be expected. But I do believe that from now on, that not only Prema, but also our business partners, and even the government will do what they can to find a solution to this problem. Until that time we plan to limit our efforts to getting information out there, and refrain from active advertising in the “Please buy our products!” style. At the very least I want you know that products other than agricultural products are completely safe. For example, skin care and so on. When it comes to water　in skin care products, we always drain it through a RO membrane. Another way to purify it is to distill it, leaving no radiation. This type of essence has been made for many years. So be it skin care products or other general products, these have no surface contamination that some of you might be worried about. We also check this ourselves with an instrument made for this purpose. But as the contamination inside food products is hard to discover, and as of yet neither we or our partners have the proper means of measuring this, I beg you to wait until we can properly conduct these examinations. But when this happens, I hope and wish that you will be willing to help the Japanese people, and by doing this bring the Fukushima problem into focus. In the end this will help form proper thoughts and opinions on the nuclear debate in each and every country. Already at this early stage, Germany has tentatively decided to totally abolish the use of nuclear power plants by 2023. That decision came really fast! I heard that in Italy a vote to reopen nuclear powers plants was turned down by the majority. I guess that was their conscience speaking. 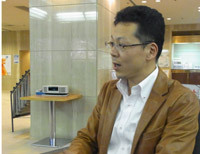 But there is still a problem that remains unsolved for Japan, as well as Italy and Germany: “What are we gonna do now?”. I positively anticipate that if countries like Italy and Germany, together with Japan, join hands and even while competing against each other, put all their effort into developing natural energy, we will be able to secure clean and safe sources of energy. And if we don’t decide to stop completely and forever somebody will again at some point say that nuclear power wasn’t really that bad. It would be amazing if we could make these things come true. Interviewer: We have now started to see a movement towards abolishing nuclear power in the world, but the fact is that at the present time nuclear power plants still exist all across the globe. As the CEO of a company that has handled natural food products for a long time, what would you recommend our foreign customers to prepare, in case of an emergency, no matter how unlikely it may seem? Nakagawa: Well, as demand is constantly rising it might be hard to get, but each household should have a Geiger Counter available. The Japanese people too are having a hard time as they can’t get their hands on one, but if you wait until the current situation settles down I recommend you buy one. I’ve heard that many Europeans already have one, and that you can buy a simple one for about 2-300 euros. There’s a huge difference between having one, and not having one. Only the instrument’s numbers can tell you if should flee, or if it’s enough to close your windows, and also how the surroundings where you live are doing. But no Japanese people possessed these things. We really took safety for granted. If would be extremely easy for North-Korea if they decided to fire their Taepodong missiles at the Fukushima Daiichi plant, or even the recently stopped Hamaoka plant which is close to the capital area. Following this, however unlikely a situation like this may seem, radioactivity and the spread of radioactive materials will be your main concern if you survive the initial blast and heat. Therefore I would strongly recommend buying a Geiger Counter. One more thing we learned from going to Fukushima, and measuring radiation as we moved around was the effects of a air-tightness. This goes for both houses and cars, and an airtight space will significantly reduce the amount of radiation. Speaking from experience I can tell you that radiation amounts inside tunnels are also extremely low. Both ends of a tunnel are open, but... maybe the wind really doesn’t blow into tunnels that much, or that the rain after the explosion on the 14th of March didn’t seep into any tunnels. Both are good explanations I guess. Anyway, tunnels and air-tight houses have extremely low amounts of radiation. All of you might already know this, but in the case of emergency it’s essential to block places where air comes in, and seal them properly, and there are tapes made for this purpose. The knowledge of the necessity of sealing openings and preserving air-tightness is the first important thing, as well as having tape like this ready. If you do, it will prove useful in the event of an accident at a nuclear power plant, as well as, even though I don’t really like saying it, a nuclear war. 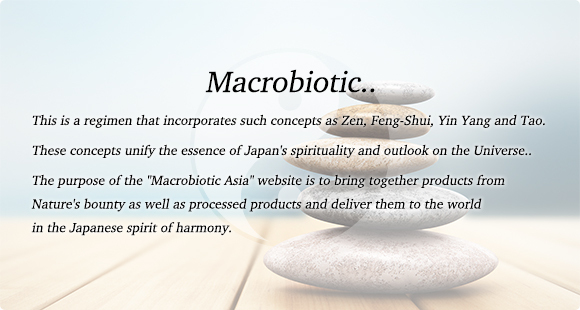 And also, the Japanese people are originally experts at methods of healing our body with natural foodstuffs, called “Macrobiotic”, which have been passed down through cultural traditions. But since after the power plant exploded we have been told the following things: First of all, things made from charred brown rice removes not only radiation, but also other toxins from the body. We are also told that if you get exposed to a high amount of radiation your blood will become as if it’s melting. Diffusion is in a macrobiotic sense ying energy, extremely cooling and expansive, and charring something has a really positive yang effect. Salt has the same effect, and therefore we were told: Eat brown rice, drink tea made from charred brown rice, eat salty things made with natural salt. And also, Miso. Miso is a flavoring product special for Japan made from fermenting soy beans and flour with yeast. Even at the time of the Chernobyl accident.. I don’t really know the whole story, but I heard that all the Miso from Osawa Japan, a wholesale store for Japanese natural food products, was sold out. And all of it went to Europe. It was the same with the previously mentioned brown rice. But it’s said that it really was Miso that was the most treasured anti-toxic food product at the time of Hiroshima and Nagasaki, as well as Chernobyl. Those of us who prefer traditional food eat Miso every day, and therefore it’s thinkable that Europeans and Americans have a greater risk of experiencing radiation related problems than Japanese. But the thing is, most Japanese don’t eat Miso everyday, so the situation this time was very much like the one in Europe. However, there were many who ate a lot of Miso on purpose at the time, and you really don’t need to do any more than to make simple Miso soup. And then there’s seaweed. Japanese who like natural food eat a lot of seaweed. By eating plenty of kelp or seaweed the thyroid gland becomes full of non-radioactive iodine, preventing radioactive iodine from entering and accumulating in the thyroid gland. So yes, seaweed is also often mentioned. For many of you these things might seem far-fetched, but what I really want you to know is this: Among the functional foodstuffs we sell, the one’s who have a proven effect on radiation, as well as maintaining everyday good health, are items like EM-X, Bio-Normalizer and so on. We also have water who is tapped from safe sources far away from the affected areas, that suppress damage from radiation. These products have a long shelf-life, so I would recommend if possible to keep some in store for the sake of your health, while changing the stock from time to time. We also have a water product called VIS. If you compare taking an x-ray after drinking VIS to taking one without drinking VIS, drinking VIS will lead to the x-ray picture not coming out properly. There was a person who conducted an experiment like this. Don’t you think that’s interesting? It was originally created for preventing damage from radiation treatment in cancer cases, and as you can store it for a long time, there’s a huge difference between having just one bottle around than none. Interviewer: So, not just to prevent radiation damage, but for your everyday life as well? Nakagawa: Yes, it really helps. The effect of VIS are as said, but the two products I mentioned earlier (EM-X & Bio-Normalizer) have anti-oxidants, and both are made through fermentation and have equal, or even greater effects than Miso. Both are excellent choices for something you would want to keep in store. I mentioned it earlier, but I think that ‘Zeolite’ products already are widely sold in Europe, so I would also recommend preparing some Zeolite supplements. 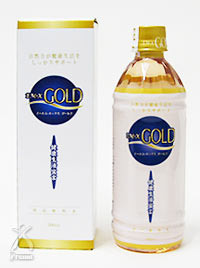 It’s also necessary to have some sort of water purifier that has an effect on radiation. This can be bought in your home country. Either this or to have an ample reserve of water stored away. And as Japan experienced, distribution of goods and the such will return to normal after a short while. At first there was widespread panic, and bottled beverages and water quickly disappeared from the shelves. Of course, the water treatment plants add large amounts of carbon and Zeolite to the water supply. but it’s essential to keep enough water to get through the initial period. Interviewer: Thank you very much. After a crisis like this I feel the importance of taking in the lesson we have learned and to never forget it. But there is one more thing I would like to ask... I believe that the Japanese people are still all feeling an unmeasurable amount of stress over this. Are there any measures they should take, on a more mental level? I think there are probably a lot of people who have already succumbed to the stress and fallen ill.
least this was the case with Japan. Nakagawa: That is really true. What most people go to see the doctor about now is stress, of the extreme type. Of course, while there are actual health problems caused by radiation, there are also situations where the Internet has helped spread misinformation like that a simple nosebleed has to be caused by radiation. The thing is, at the time of the power plant accident it was also pollen season, and there are many people with allergies in Japan. So when people got runny noses, itchy eyes, cough and didn’t feel to good, it was blamed on the radiation. We have to be careful to not start thinking this way, because it will lead you to worrying about even the slightest thing. And as the Internet is one of the reasons for this, I recommend not using it too much. We conducted an interview with an osteopathic doctor who had worked in both Japan and the US, that was currently in America at the time. 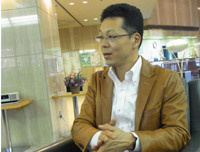 Even this doctor was on the verge of collapse from stress, and he wasn’t even in Japan! When you watch online services like YouTube, USTREAM and Twitter you become afraid! What we learned from this experience is that Twitter amplifies fear. Facebook is different though. I would like you to remember that Twitter spread more fear than it did anything else. At least this was the case with Japan. This goes for rumors as well. For example, there was a fire at an oil refinery in Chiba Prefecture, and we were told that huge amounts of chemicals were stored there and that black rain fell from the sky. I’m not saying that everything was fine, but it was a normal industrial complex and there was no leakage of chemicals. Even though it was far from the truth, that rumor spread very quickly, and even now there are still a lot of information spreading fear being posted on Twitter. If you want people to re-post what you “Tweet”, you better make it something scary. There’s no doubt about that. On the other hand, messages of hope and encouragement don’t spread at all. I think that this might be the same in all countries, and you might say that Twitter changed the world. But what spreads the fastest is always discontent and dissatisfaction. These things can bring down governments, and this makes it a powerful weapon for people in countries where human rights have a weak position. But even if the government falls, discontent will again spread, and nothing really improves, right? No matter what country. Therefore I would like to emphasise that Twitter is a dangerous tool. It’s normal to post using an alias, and as the posts have to be short you never get the entire story. This is dangerous. But because there are still few people that know these things in Japan, information spreading discontent and fear still fly back and forth. But as there probably are many westerners who use Twitter as well, I have to say: Be careful using Twitter. Facebook is for the most part used for marketing in Japan and in this way it’s might be a bit different from the US, but when messages of discontent appear, your friends around you tend to calm down the situation. Because of this it doesn’t become like Twitter. And everything is posted under your real name as well. to exercise. As simple as that. This is important knowledge in our time. It’s about how we will use these powerful IT tools. Another thing that has a bad effect on your mental situation is the media. The Internet is the most extreme example of individual media, and I’ve talked about Twitter and Facebook. I don’t know how the mass media is in your specific home country, but as you probably remember, on and after 9.11 the same images of the planes crashing into the Twin Towers were shown again and again. I’ve heard that this scared and brought anxiety to both American children and children from all over the world, so I would also like to point out the problems of taking in too much of what the mass media shows you. If you’re gonna watch it, prepare yourself and watch properly. When we’re scared we tend to just leave the TV on without really focusing on what we’re really watching. Avoid this, and watch with a purpose. There are many more things I would like to talk about, but most importantly: If something big happens somewhere in the world, we will post a message on our website. Please check to see if we have written anything before you go look on Twitter or Facebook. We have many new staff members who know English who can deal with this. Interviewer: I’ve heard that especially people of the countries near Japan are very concerned, so there is no doubt to the importance of getting true information out there. Nakagawa: That’s true indeed. No need to worry for no reason. Well, there are indeed bad cases as well, where there’s not much we can do. But if it’s stress, rather than radiation that defeats you... well, then it might end up a laughing matter. And one more crucial thing is to exercise. As simple as that. Nothing good comes from sitting down watching TV all day, or slouching over your computer. I would probably get in trouble if I recommended that you go outside during a nuclear disaster, but that’s not what I’m trying to say. Even inside you can do things like yoga or stretching exercises. Just this will make a huge difference. Many people talk warmly about how good yoga is for them, and there are people who say that they recovered from depressions from it! And it’s all possible to do inside your own house. Interviewer: Thank you very much for your time.